Fingerprint Sensors zk7500 is a USB fingerprint reader designed for use with software applications. The user simply places their fingerprint on the glowing reader window, and the reader automatically scans the fingerprint. On-board electronics calibrate the reader and encrypt the scanned data before sending it over the USB interface. The products utilize optical fingerprint scanning technology for superior quality and product reliability. The fingerprint reader recognition system has an unmatched ability of authentication. authentication for PC or network security. Email us at info@ampletrails.com or call us at 9818390836 for pricing and the installation of this machine. 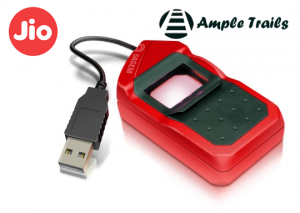 USB Fingerprint Scanner, manufacturers, suppliers, exporters, traders, dealers, manufacturing companies, retailers, producers, Biometrics & Access Control Devices India. We provide SDK for eSSL ZK 7500 fingerprint scanner. Get the best quality scanner at the lowest price in India. Best quality Fingerprint sensor in India. 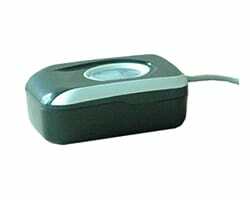 The ZK 7500 is a high-performance reader for fingerprint enrollment with high-speed USB interface.